On Tuesdays, instead of driving all the way home between school runs, I work in a dear little old schoolhouse on the hill above my children’s school. It is the property of St John’s Catholic Church, Richmond, which is the oldest Catholic Church in Australia. If I peer out the windows I can glimpse the Richmond Bridge – the oldest bridge in Australia still in use. With that kind of impressive history at its doorstep, the schoolhouse is begging for a writer to sit inside and bang out something amazing. That’s why I’ve managed to sneakily align myself with two other writers who join me in the schoolhouse on Tuesdays and who are more likely than I to add the amazing to the something. They too feel inspired by the book-scented charm of the schoolhouse. Which is a bonus for me because in them I’ve found two friends who think a bit like me, who understand stuff I say without me having to explain, and understand what it’s like to be a mother with a writing problem and having to jump into imagined worlds when school’s in, everyone’s asleep and the stars align, then out again with a shake of the head and at least an air of being on top of things. We have spent a lot of time together not writing, which for me has been a really fun and necessary prelude to getting on with something, which we are starting to do now, in between making cups of herbal tea, drinking green juice and trying not to chat. I for one am loving being back at school, and I’m learning so much. I have high hopes for my education, perhaps even a book? We are yet to publish any words here – so the words links won’t give you any joy, but I’ll be sure to tell you when we do. 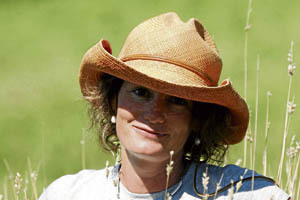 Kelly Pummeroy is a writer and mother who lives on a sheep farm in Tasmania’s Cole River Valley. She made the move to Tasmania from Victoria after working for almost a decade as travel editor for Channel 9’s Today show, which saw her travelling to weird and wonderful places, meeting an interviewing characters from all over the world and presenting it all to camera. She arrived in Tasmania with her husband Leigh after falling in love with a linen cupboard (more on that one day) and deciding their life could do with a Country Style Magazine-like tree change. Her expectations were significantly brought back to earth when she realised that Merino sheep have very little brain, truffles are hard to grow and babies take up most hours of the day (she had two gorgeous daughters). Kel’s passions include books, food and Asian culture. Her toe is Chinese (more on that later too). Meg recognised her writing potential in her expressive and hilarious text messages and the rest is history. 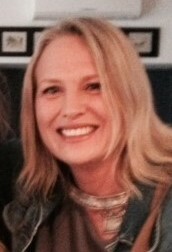 Maggie MacKellar is a writer living on the East Coast of Tasmania. As a history academic at Sydney University she published two books on the history of settlement in Australia and Canada (Core of My Heart, My Country and Stranger in a Foreign Land). Since the tragic deaths of her husband and her mother, she escaped to the fold of the Australian Bush and wrote a memoir about her life and loss, When it Rains. Later, when she found a Tasmanian grazier called Jim and realized she could love and trust again, she packed up her life and moved to his seaside farm. Her second memoir, How to Get There, chronicles this physical and emotional shift. She now lives and writes in a stone farmhouse with Jim and her two children. She spends her time juggling writing with the demands of motherhood, partnerhood, some horses and a great mob of sheep (and Meg pestering her with endless questions and rhubarb about writing).